In the month of April, Learning Resource Center students received 1,855 hours of tutoring, bringing the Year-To-Date Total to 11,866 hours. (please note that the YTD total starts over in July). 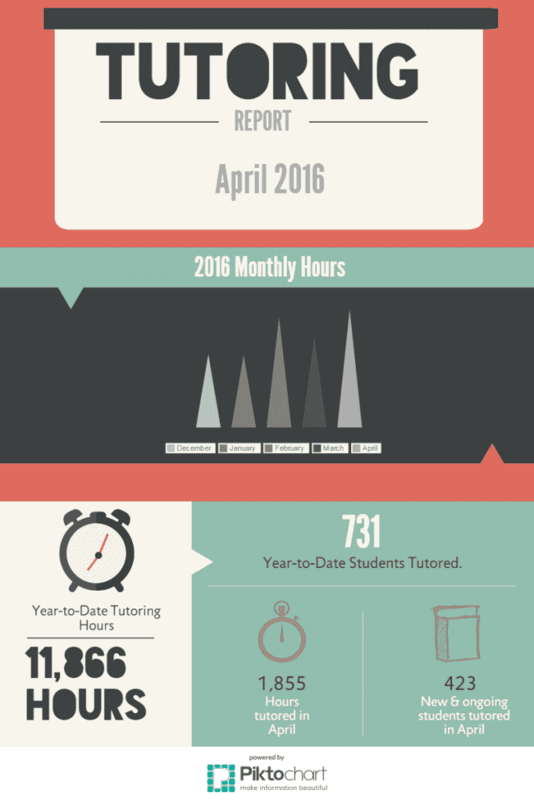 New and ongoing students tutored during the month of April equaled 423 students.